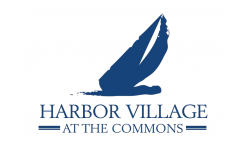 Harbor Village at The Commons is located within the planned unit development of The Village at South County Commons, which offers an entire village center with a movie theatre, bank, restaurants, and high end retail. In addition, professional, health and beauty, and medical services are within walking distance from resident's front doors. This makes Harbor Village at The Commons decidedly unique from any other apartment community in Rhode Island. Popular destinations such as Newport, Providence, Boston, Massachusetts and Mystic, Connecticut are easily accessible.